This statistic shows the share of the population who said they participated in voluntary activities in the last twelve months in 2017/18, by region and type of volunteering. 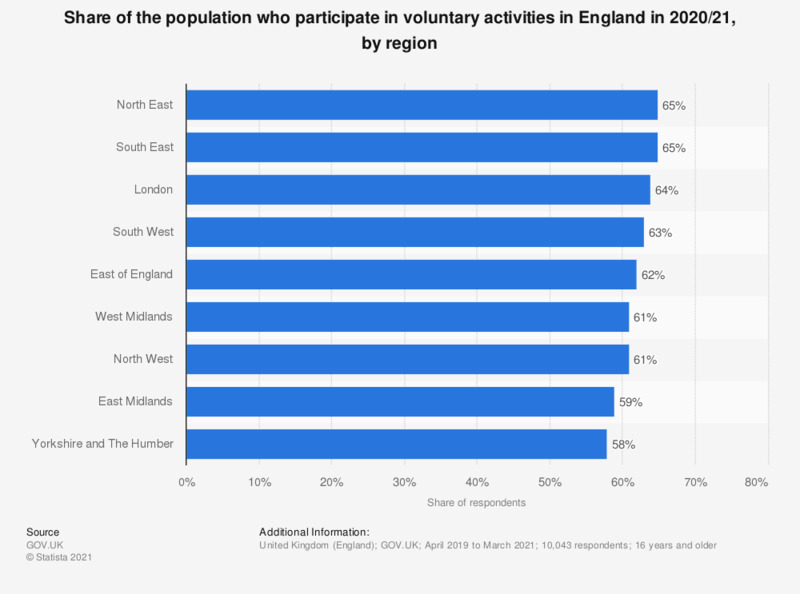 According to this survey, the South East recorded the highest percentage of people volunteering informally, followed closely by the South West. * Volunteering is defined by the source in two ways - 'formal' and 'informal'. Formal volunteering being when a person gives unpaid help to groups, clubs or organizations and informal volunteering being when this help is given to people (who are not relatives).